It’s already a tradition….twice a year ITF-Belgium organizes the ‘Day of Taekwon-Do’. On this seminar, open to all members of ITF-Belgium, some of the best instructors of Belgium are conducting classes in some of the disciplines of Taekwon-Do: tul, sparring, special techniques and hosinsul. Participants are divided in smaller groups according to their age and grade, and they’re rotating every hour, with a general warming-up and cooling-down. Every participant receives a certificate after finishing the seminar. On Sunday November 29th the second Day of Taekwon-Do of 2015 was held in Sint-Lievens-Houtem. Instructors were Master Frank Vanberghen VIII°, Sabums Annick Van Driessche VI°, Eddy Van Damme VI°, Virginia Dionisi VI°, Yves Pollefeyt V°, Patrick Crevecoeur V°, Bob Wigman IV° and Tom Van De Sijpe IV° and Boosabums Andreea Musca III° and Jan Lauwereins I°. 109 members were subscribed, members of the affiliated schools Bushido, Germinal, Samjok-O, ITF Woluwe, ITF Etterbeek, ITF Brussels, Hodori, Won-Hyo, So-San, Chon-ji and Ge-Baek. The efforts of all participants were great, the atmoshpere was superb and everyone enjoyed the seminar. 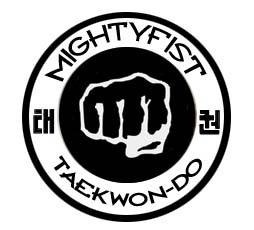 Next Day of Taekwon-Do will be held in Lede, March 6th.